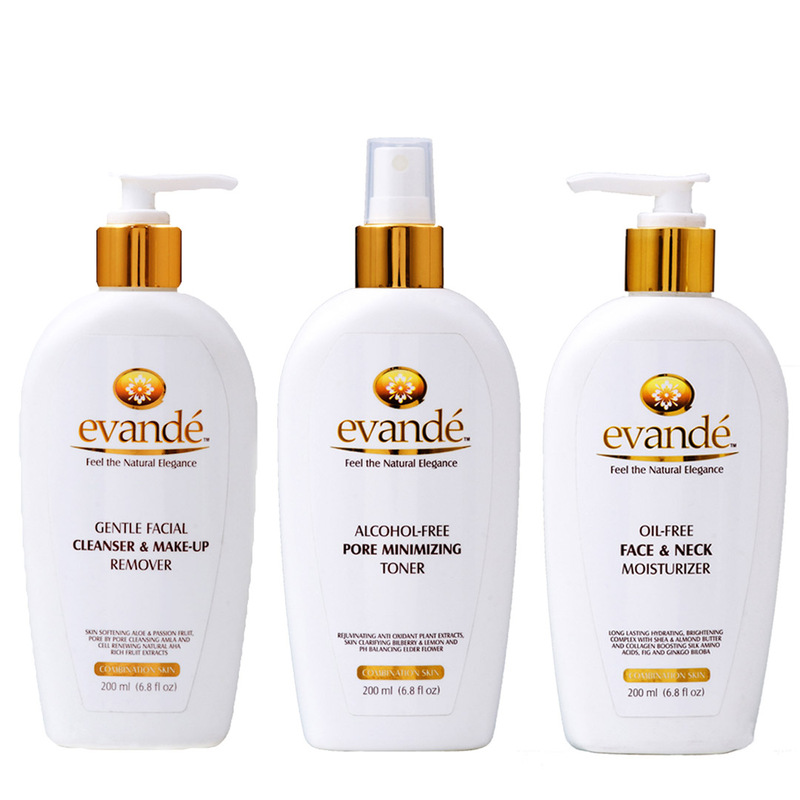 View cart “Evande TRIO Pack” has been added to your cart. This daily moisturizer can be applied to the face and neck area to improve hydration, boost cell regeneration and aid in providing a healthy glow to skin. 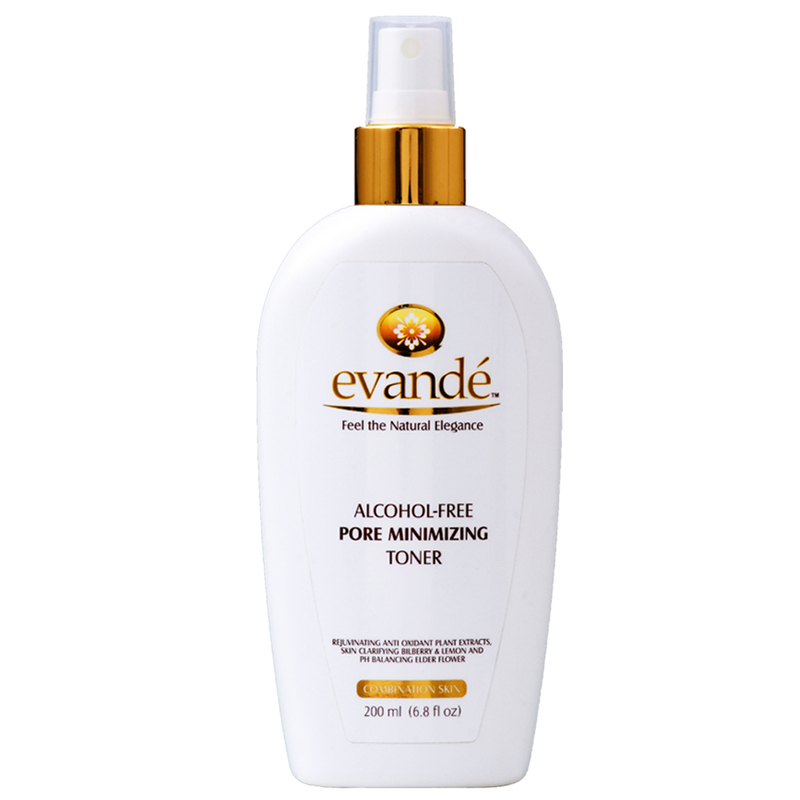 Directions: After cleansing and toning with evandé products, apply moisturizer liberally to the face and neck area. Use daily or as needed. 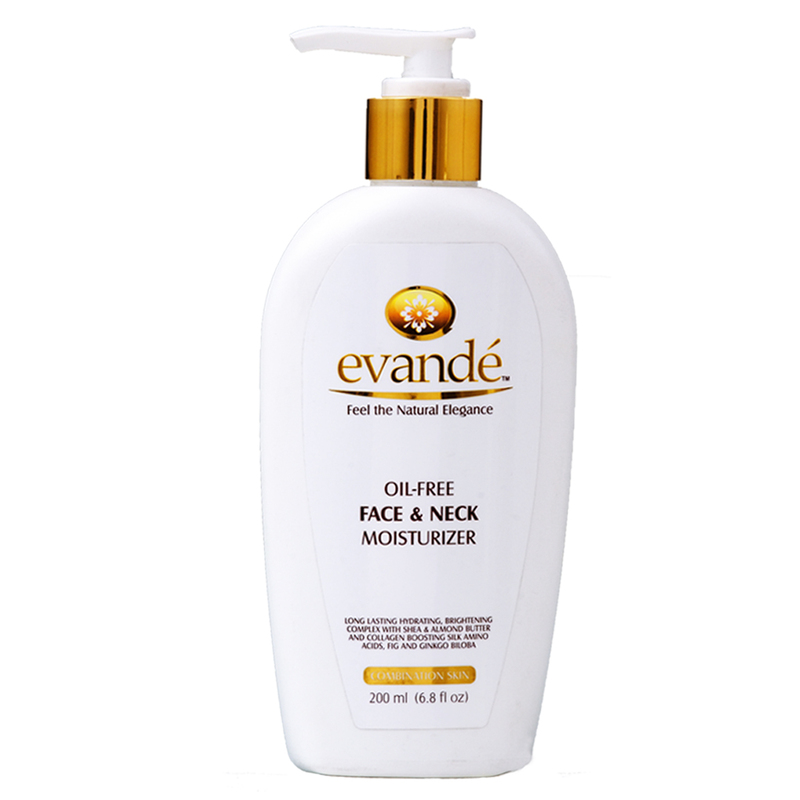 Evande’s oil free face and neck moisturiezer is a nice product and keep skin moisturized for hours. Highly recommend to anyone looking for a moisturizer especially for face and neck area. The lotion is nice, absorbs well into skill, is creamy with oils but is non-greasy. Five out of five stars. Good lotion for combination skin, doent leave my face feeling oily. Wonderful lotion. Feel really nice. Smell really good. I usually can not use lotions with any smell to them but this was nice. Did not bother me at all. This stuff really is great. The smell is intoxicating and you feel this really soak into your skin! I got a discount for a review, but it was totally worth my investment, this will probably last over a year for me! Really nice Moisturizer, but I think the scent is best suited for a hand lotion. I have asthma and it just ends up sending me into coughing fits. Great product. I absolutely loved the smell and it really made my skin feel softer and lighter. Not really a special lotion. For the price I was expecting it to give me a noticeable difference. I have mixed skin, some parts are oily, others dry. The cream is fine for all of my areas and it hydrates without leaving an oily film. Love this. A little bit goes a long way so this bottle way last a good long time. Moisturizes without leaving a film. Just don’t overdo it. I bought this lotion for my mom she’s literally in love with it but we can find it in stores only on amazon. My face has never felt so smooth and soft. The smell just relaxes me so much, the quality is outstanding.I was given a discount to try this product. You ask me if I would buy again? yes I would. I would also suggest to friends and family to buy.This is a great product for aging skin and to keep it smooth and supple. I am so thankful I tried this product. 1. Look/Design: I really do love the design and colors of this bottle. You can tell that it looks fancy and that it is a premium product. I do appreciate the directions provide, but I wonder what all the ingredients are. Despite the “Feel The Natural Elegance” subtitle under the brand name, I don’t think that all of the ingredients are natural and that bothers me a bit, especially considering the price of this product. “0.50 STARS! 6. Summary: This is a professional looking bottle of lotion that provides an effective solution at moisturizing your skin that feels great and isn’t overly oily feeling. It doesn’t have my favorite smell, but is good nonetheless and the price is somewhat pricey considering that the ingredients included are probably not all natural. If they are in fact all natural than the bottle should be more detailed in describing what the scientific names mean. 7. Rating: I rate this product a 4 out of 5 stars and recommend this product to those who want a professional, premium product that works effectively, is not too oily and that also doesn’t mind that their are possibly some questionable ingredients included in this formula. I like the way this moisturizer feels and the softness that it adds to my skin. It has a nice medium-to-light silky texture, a mild pleasant fragrance, and it absorbs well into my skin when applying it. It works well, leaving my face feeling moisturized all day and comes in a good-sized convenient pump-top bottle. That being said, If you are looking for an ‘all natural’ product, this moisturizer does not claim to be ‘all natural’; however, the description states that it contains “25 natural ingredients” and is ‘oil-free’. After putting some work in to scrape the extra sticker off the back of the bottle which covered the ingredient list, there just does not seem as though there are actually 25 ‘natural’ ingredients to me and one of the main ingredients is Hydrogenated Polyisobutene which is a synthetic oil used as a mineral oil substitute. I’m sure many other moisturers also contain these same base ingredients and this brand moisturizers well, but the marketing of this product made me believe it was very natural, when it is not. This moisturizer arrived and was packaged very well! What attracted me to this product is that it has shea and almond butter as well as collagen boosting silk amino acids. The texture is that of silk. It is not lightweight but has a lighter feel than a medium textured moisturizer. It is not greasy and seems to seep into the skin quickly. There is a light scent and that is why I rated it 4 stars. I was hoping for something that would not irritate my sensitive skin. A great note is that I am unable to use Estee Lauder due to the same issue. There are two parts and VERY important. It did not work for my face. But no worries there, I used it for my chest and neck instead and have had Zero issues. This is a good moisturizer, but may not work if your skin is prone to sensitivity. I love the luxurious feel and I love the fact that it is in no way greasy :)!!! Please refer to the label for product information. I did my best to peel off the amazon label….lol. Would I buy the product again? Of course, I would. Evande has a great line. Please note I did receive this product at a discounted price in exchange for an honest review. I will always tell you how the product works for me and it is up to you to give it a try. Try it, I think it is definitely to be placed with high-end moisturizers (without the high-end cost). I ordered this lotion because of the claims that it provides flawless perfection, brightens and tones the skin, doesn’t interfere with makeup, enhances beauty by high moisture retention over the entire day, and controls premature aging. It also claims to be non-irritating, lightweight, and non-great. I also liked that it stated it was for face and neck. 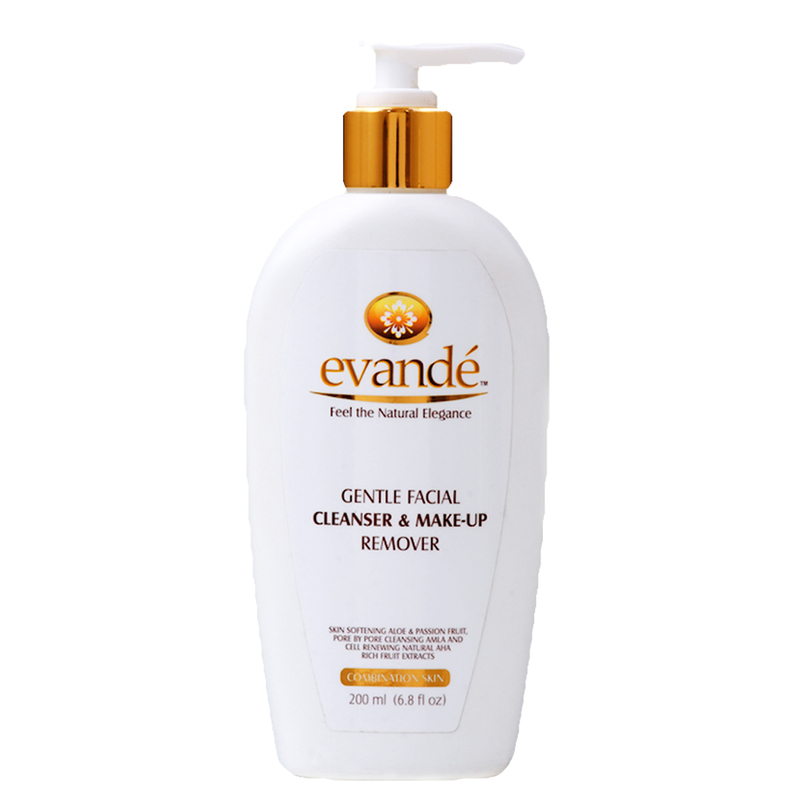 I was not able to follow the directions exactly because it calls for the use of the full line of Evandé products to get optimal results. Nevertheless, I figured that substituting this for my normal moisturizer would give me a good idea of how it compares to what I like and am used to using. First and foremost, the size of the bottle astounded me. You get 6.8 fluid ounces! Compare that with the standard facial moisturizer and it’s obviously a win on the amount of product you receive. It will definitely last a long time! The design of the bottle is nice and I consider it unique to the normal facial moisturizer bottle. It looks more like a smaller bottle of body lotion. The bottle stands tall and slim, unlike the usual jar moisturizers. This was also a positive thing for me because it seems like it is sturdier and will not break if you drop it on a hard surface. Plus, it has a pump dispenser, always a positive for any beauty product to help keep bacteria at bay. As for the actual product, it is very lightweight upon application. A lot of moisturizers are very thick and heavy while this stays true to its claim that it is not heavy. The first time I used this product, I didn’t realize how true this statement was and how much it would change the amount of moisturizer I actually should use. I only used one full pump of this product and because it is so lightweight, I had so much excess product left on my face that I ended up having to rub it down my shoulders and arms just to get the correct amount on my face and neck. Now, I use no more than a half of a pump to fully cover my entire face and neck. Like I said before, this is going to last a really long time and you will definitely get your money’s worth out of this bottle. I haven’t had the chance to use this long enough to get a feel for the anti-aging qualities. Plus I use a myriad of different products that also have anti-aging qualities so it would be difficult to determine if this was working unless there was a major impact to my fine lines. I have combination skin that i would not classify as sensitive skin. Evandé face and neck moisturizer did not irritate me in any way. There is a light scent that I would describe as a fresh smelling but if you do not like scented products this may bother you. The smell fades after about five minutes and I don’t notice it after that point throughout the day. Also, the first time I used this lotion I thought for sure that it was going to be greasy but I was pleasantly surprised that it dried so quickly and did not leave a greasy look to my face. The way I use this product in the morning is to apply after cleansing, toning, and adding any serums that I’m using. I let it sink into the skin, which doesn’t take as long as most of my other moisturizers because it is so lightweight. I then prime my face with a pore focused primer and apply my makeup. I haven’t noticed a positive or negative change to the application of my makeup, which stays true to claims that it doesn’t interfere with makeup. I had hoped that since the lotion was so light that it might make my foundation more subtle but it looked the same as normal. Now you know why I am happy with this purchase but may be wondering why I only gave it four stars instead of five. There are a few minor issues that I would like to mention that will explain why I took away one star. These issues are specific to me and my skin type and may not matter to you so disregard this section of that is the case and consider this a five star review. My face has a red undertone, almost to the point of rosacea. I find it very difficult for any product to ever live up to the claims that it will brighten my skin and even out the tone. Many products claim this and I haven’t found one yet that actually succeeded in keeping my redness at bay. This product is no different. It did not even out the tone of my face or brighten my skin. Finally, my last concern with this lotion had to do with claim that it keeps your skin moisturizers all day. It does hydrate the face somewhat but in comparison to my other moisturizers, it is not as hydrating. This is split down the middle for me. As stated above, I have combination skin so this is perfect for the parts of my face that have excess oil but not so great for the part of my skin that needs extra hydrarion. Overall, I would recommend this product. I have been enjoying using it on my skin and I have it down to a science when it comes to applying this lotion strategically in combination with another moisturizer. Now my face feels more balanced. I hope this review will help you when deciding whether this will work for you! I am past 65 with sensitive skin and a limited budget. Most creams are too heavy for my face – feel “smothered” under them. This is light but effective – have noticed a smoothing of my skin since starting to use it. It also does not take much to do the trick. Love the pump bottle – super easy to use with arthritic hands. Works really well for me because the acne wash I use dries out my face. So it’s great and it smells nice too which is a bonus.